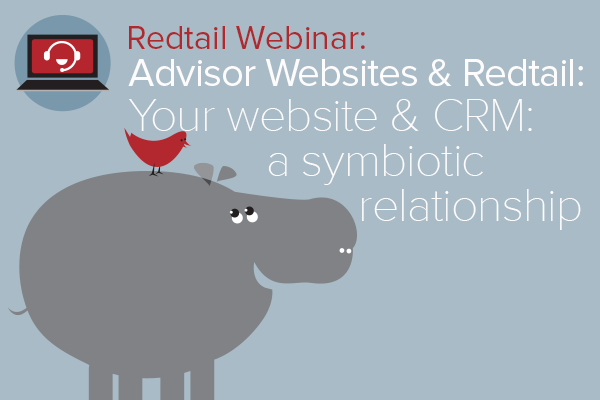 Whether you're a new user to Redtail CRM or have been with us for years, our commitment to building strong integrations with other leaders in the advisor tech space was likely at least one of the reasons you chose Redtail as a core solutions provider. As part of that commitment, we are excited to announce a new educational series of webinars with Advisor Websites beginning October 29th. This will be a five-part series, with one session per month through February of 2015. The focus throughout will be on how you can use your CRM and website as complementary tools in order to strengthen your client relationships, increase referrals and convert leads. Our first session is tomorrow, October 29th.